Cryptocurrency wallets are where you will store your funds, this much you probably know already. They come in many shapes and sizes, all offering different features and levels of security. They can be applications on a cell phone, website, offline storage device or even a sheet of paper. 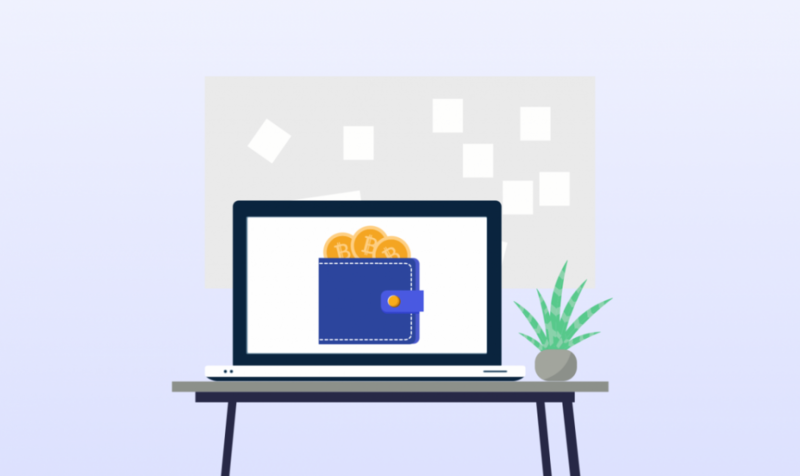 There are several different types of wallets; hardware wallets, paper wallets, software wallets, and exchange-based wallets. Essentially, these can be broken down into two basic categories: Hot wallets and cold wallets. Hot wallets are the most widely used cryptocurrency wallets. These can include your favorite software or mobile wallets or the wallets you use to store your funds on exchanges. If you’re just starting out, maybe the only wallet you’ve used so far is an exchange-based wallet. These wallets make it easy to trade, convert to fiat and more. Think of this as your petty cash…something you’d carry in your pocket or wallet when heading out for the day. With exchange-based wallets, you will always have your funds available to buy the dip or catch a crypto trade right before it breaks out. All exchanges offer this feature in some form or fashion. Some even offer users a fiat wallet, as well, allowing you to store funds in a USD or EUR account that you can easily transfer to your bank whenever you feel the urge to do so. Others might allow users to trade their more volatile cryptocurrencies into stablecoins such as TUSD or USDT. This allows users to mimic a fiat account, but you may need to take an extra step to transfer these funds to your bank account. Though these wallets allow users immediate access to an exchange’s features, they do not provide users with their own private key. While the benefits are clear, not having control over your private key means that you may miss out on hard forks and your funds are more vulnerable to attack. In 2018 alone, exchange hacks cost users almost $1 billion in crypto. While some exchanges have returned these funds to users, it’s not always going to be guaranteed. For this reason, other hot wallet alternatives are worth considering. Software wallets and mobile wallets offer an additional level of security. While users are still ultimately responsible for their funds, at least you can rest assured knowing that you control your private key, and by extension, the fate of your investments. Software wallets lie somewhere in-between exchange-based wallets and hardware-based cold wallets. They are generally open-source and can offer a variety of features, from a staggering selection of different coins to backup and recovery options not included for exchange-based alternatives. This is like your checking account. You can easily move funds around, make payments on the move, and send it to an exchange if you feel the need. While software wallets do add another level of security to your holdings, they’re still not without their flaws. Because they’re stored on your computer or mobile device, they’re still susceptible to attack. One of the biggest things you can do to prevent your funds from being stolen is to never use your wallet when connected to public WiFi networks. Additionally – never share your private key or seed phrase with anyone! No reputable company will ever ask for it, regardless of what might be said in a seemingly-legitimate looking email. If you want top-notch security, however, you’re going to have to get a cold wallet. Cold wallets are wallets that are never connected to the internet. These are the ultimate in privacy and security. They’re physical objects which you can hold, ultimately making you your very own bank. These wallets aren’t necessarily as intuitive as many of the hot wallets on the market, but if you’re dealing with large sums of cryptocurrencies, they’re something you need to learn how to use. And fast. There are two basic forms of cold wallets – hardware wallets and paper wallets. Hardware wallets are essentially small USB drives where you can store your cryptocurrencies offline, with complete control of your private key. They offer an array of technical features such as the storage of multiple cryptocurrencies, physical confirmation of every transaction, and even randomly generated PIN codes which are needed to access the devices on your desktop. As an additional layer of security, these devices also include a feature called “limited USB connection,” which means that even if your computer is infected, your hardware wallet will remain safe. Hardware wallets are often regarded as the pinnacle of crypto security. But they’re not without downsides. Holding your funds on a hardware wallet means that you are completely responsible for that wallet’s contents. From the recovery phrase to the physical storage of the device, users need to make sure all necessary data is kept in a safe location. Paper wallets take that idea even further. Paper wallets aren’t exactly widely used, but they do offer users an especially private and unique means of managing their funds. So what are they? Well, they’re exactly what they sound like…a wallet stored on a piece of paper. When a user creates a paper wallet, they are given a public key and a private key, just like with any other wallet. The key difference, however, is that many people may never use their private key on other wallets, but with a paper wallet, it’s absolutely necessary if you want to access your funds. To set up a paper wallet, users will go to a website like MyEtherWallet or WalletGenerator and follow the instructions. For the ultimate level of security, many users choose to create a wallet while offline. From there, you will send the funds to your public key, and then tuck the private key away however you see fit. There are some extremely creative applications of this method of storing funds, from embedding the private key in paintings or etching it into jewelry. With this, users can create a unique-and-private storage device out of practically anything, while keeping the public key on hand to add funds to whenever necessary. Neat, right? There is a problem, though. Whenever you need to send funds away from your paper wallet, you will need to import your private key into a software wallet. This can be risky, depending on how closely you follow the recommended safety protocols, such as scanning your device for viruses, staying away from public WiFi, and other basic tips of the trade. So how do you pick a wallet? The first step in picking a wallet is deciding how you will be using it. Do you want to be able to make quick trades on exchanges? Keeping a limited amount of funds on your favorite exchange may be the way to go. Are you looking to hold a substantial amount of cryptocurrency for a long time? Maybe a paper wallet or a cold wallet will fit your needs. Do you often spend your cryptocurrency with merchants where you live or while traveling? You may want to load up an application on your phone for easy access. Next, you’ll want to think about what cryptocurrencies you’ll be holding. Many wallets offer a variety of options, but you’ll have to pick and choose carefully depending on your needs and expected level of security. Some cryptocurrencies are even built around their own wallets. One rule you’ll always want to keep in mind, however: Never, ever, ever…for any reason…give away your private key or recovery phrase!